Recently I posted an article entitled Resenting God Because Of Me and in that article I discussed what true biblical faith is and is not. If you would like to read the article then click here but for the purposes of this article I will summarize biblical faith. Biblical faith is hope that has been married with a promise from God. Hope without a promise from God is not faith. Therefore, faith could be defined as believing God in both who He is and what He says. Faith means believing that God is God and that God will do what He says He will. If you accept this definition of faith then you will probably begin to ask, how do you know what God has promised? As I wrestled with trying to answer this question I found myself with two answers- one answer is simple while the other is more complex yet both of them seem to be correct. First we can say that if it is written in the Bible then we can see that as a promise from God. The struggle of course is this- how do we know we are interpreting the Bible correctly? Answering the question of correct interpretation also gives us our second answer to the question of, how do we know what God promises. The answer I believe is found within the Wesleyan Quadrilateral. The following explanation is only a brief overview but should be sufficient to help you understand how to discern what God promises. First we should check our interpretation with the rest of the Bible. Does our interpretation fit with the rest of the Bible? If it does not then we are probably wrong. Next, does our interpretation fit within reason or logic- in other words is it logical? Does it fit within the traditions of the Church? Many smart people have gone before us worshiping and loving God, their opinion should account for something. Lastly, does the interpretation fit within our experience as a Christian? As I hope you see, understanding God’s promises is not something we do on our own but rather is something that we are informed of by the Bible, by our own mind and experience (reason and experience) and lastly confirmed by the past two thousand years of Church history. Discovering God’s promise is a collective effort done by the entire body of Christ, the Church. Although I do not believe it to be common, I do not want to eliminate nor deny God’s ability to speak promises into your life. If you believe that God has spoken directly to you, then I would say you should measure that against the four things that we discussed above. 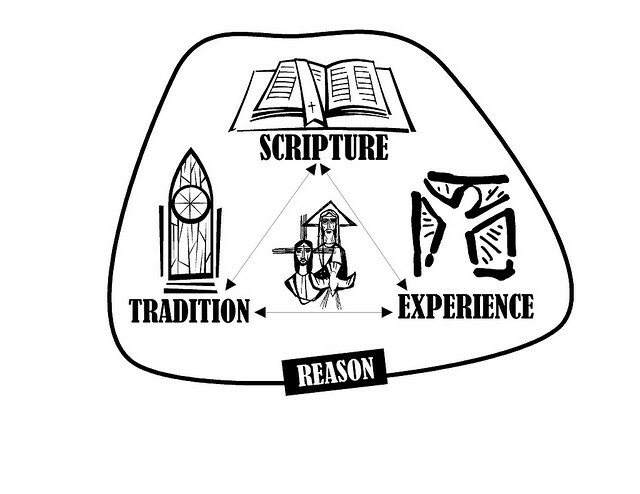 Does the promise fit within Scripture, reason or logic, experience and tradition of the Church? If it does and you truly believe that it was God speaking to you then it may very well be a promise from God. If you are still unsure or do not feel comfortable analyzing the promise against the four things mentioned above (the Wesleyan Quadrilateral) then I would say talk to a trusted friend or pastor. Find someone who is educated and sensitive to God- they may just be able to answer your questions. Whatever happens, I hope you always remember that God is God and that God will do exactly as He says He will. Next Joel 2: a Cry, Fast and Future Celebration. Great article Brian!! I especially enjoyed the Wesleyan Quadrilateral. I subscribe to the Wesleyan view of Christianity more than any other perspective in Western Christianity. Yet, in the midst of Wesleyanism, and the rest of Christianity for that matter, I struggle with this idea of “faith” juxtaposed to the Jewish idea of faith as emunah–or trust. I think one of the most overlooked aspects of faith, that is necessary in it’s progressive growth, is doubt. Where in faith does doubt fit? Rather than standing opposite of one another, faith and doubt are like brothers. Doubt, in my opinion is one of the most critical pieces that precedes, and gives birth to emunah. I quote Pete Rollins, “To believe is human, to doubt is divine!” Do we give room for doubt in the Christian experience…and if so, where and how? Thanks Nate! I am not familiar with the word emunah (I’m sure next year when I am taking Hebrew I will learn about the word); however, I would say that I agree with you. A healthy dose of doubt can and does serve as a molding and strengthening agent. Doubt can push us and lead us to discover that which we may not have known before. Ultimately I believe these discoveries will push us closer to God. I think it should also be stated that Jesus never puts the burden of complete faith or a faith that is without doubt or fault upon us. In fact Jesus discusses the immense power of transforming creation, a people, a culture or our world with even a small amount of faith (Matthew 17:14-20). It would then seem that faith is the goal but doubt acts as a necessary growing element that is continual throughout our life- doubt is both natural and necessary.